Solis Ortus hosted the Gauteng North JKA trials, 4 November 2017, at the Magister Hall dojo. 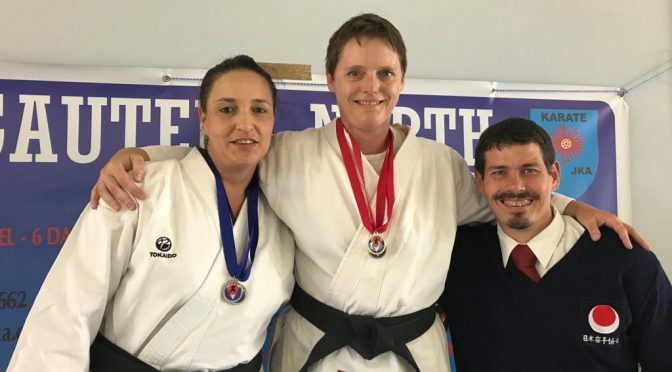 Six affiliated dojos from the Pretoria region joined forces to compete in the Gauteng North JKA trials. This joint event attracted many competitors to qualify for the SA JKA Gauteng Regional Championships early next year. The SA JKA Gauteng Regional Championships also serves as trials to select the team to represent Gauteng at the SA JKA National Championships in May 2018. The tournament was well run and organised, with more than enough qualified referees, judges and table officials to help on the day. Thank you to everyone that gave up their time for our students, for a job well done! We are always proud to host any event and show everybody else why the name Solis Ortus is part of many conversations. Some of our students competed for the first time, especially in the Novice division. Solis Ortus showed formidable strength and accomplishment during this tournament. It is amazing to see how each one of them stood proud and showed their character in their specific event. Solis Ortus karatekas did exceptionally well at the trials and therefor qualified to go through to the SA JKA Gauteng Regional Championships early next year. Everyone who competed showed great sportsmanship, competitiveness and achievement. With every competition you will build more strength, stamina and confidence to improve your performance. Remember karate is about building character. Success breeds confidence and confidence breeds success. It is clear that the confidence level in our students are growing and that makes a huge difference in their performance and personal life. Good luck to everyone preparing for the next tournament but most of all preparing for grading. One way JKA! JKA one WAY!